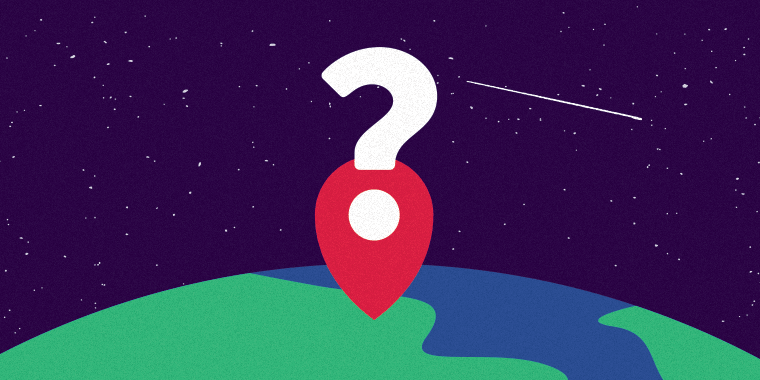 E-Learning Heroes: Show Us Where You Live! As E-Learning Heroes, you know the value in connecting with fellow course course creators. Whether it’s for quick help, free assets, or just to bounce ideas off one another, there’s something magical about getting together with like-minded people. That’s why we’re asking for your help in building out the E-Learning Heroes Community Map. 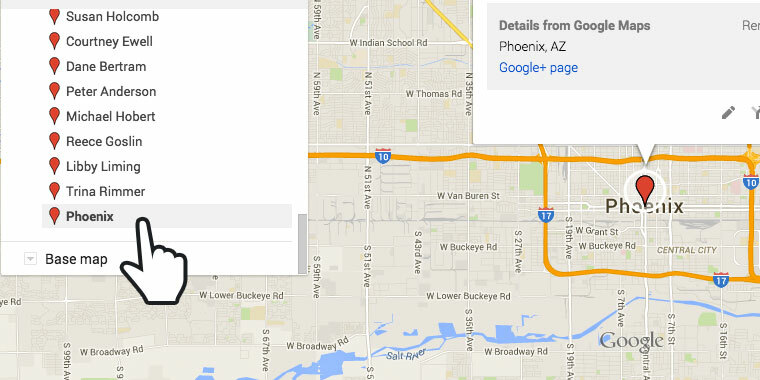 Using Google My Maps, you can add your name and city to the shared community map. You can also visually browse the map to discover community members who live in your area. You’ve probably noticed a lot of activity in the community around Articulate user groups. We know how important it is for users to connect online as well as with local users. That’s why we’re helping to connect users based on their general area. After we get 10 people in the same area, we’ll connect you so you can get your local group going. Google My Maps is simply another way we can help community members connect. Check out the short video tutorial below to learn how you can add your own name and city to the community map. Note: Don’t add your home address to the map! We’re only interested in your hometown or city. Here’s a quick video tutorial of how you can add your name and city to the community map. I also included written directions below. 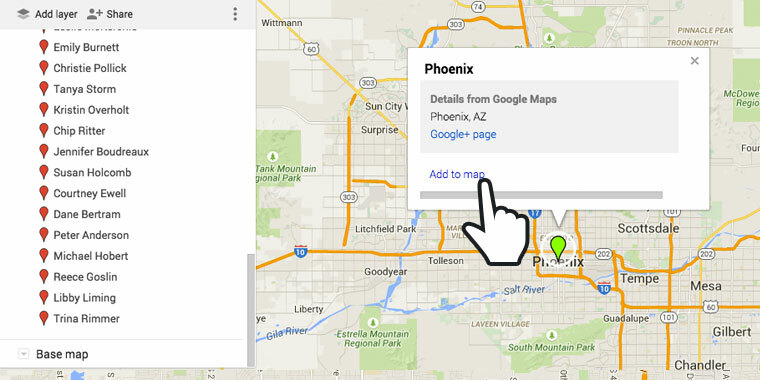 You can view the map without being signed in, but you’ll need to sign in to edit the map and add your information. 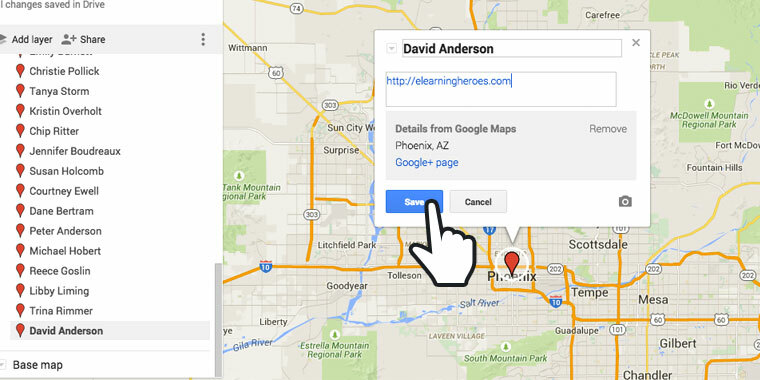 Once you’ve logged in to Google, open the E-Learning Heroes Community Map. Using the search field, type in the name of your city. 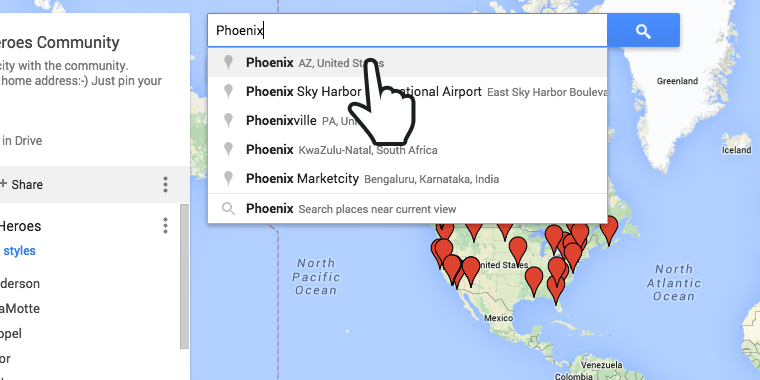 From the drop-down menu, select the city option that best matches your location. 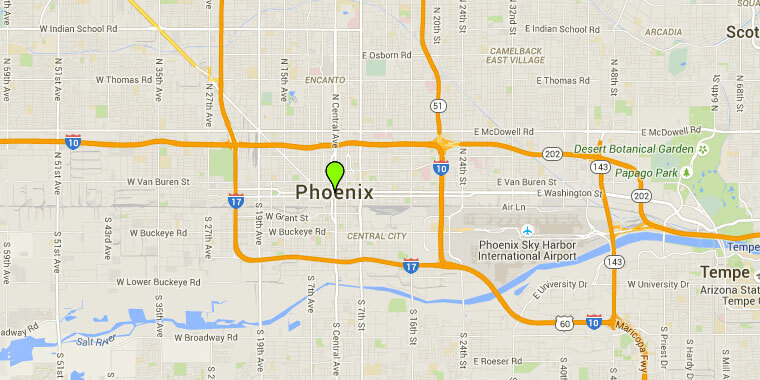 To add your pin to the map, Select the pin and click Add to Map. After you’ve added your pin to the map, you’ll find a new placemark at the bottom of the maps panel. Since some users will live in the same city, it’s best to select the placemark from the left maps panel to ensure you’re editing the correct placemark. In the pop-up box that appears, click the pencil icon to edit the placemark’s details. 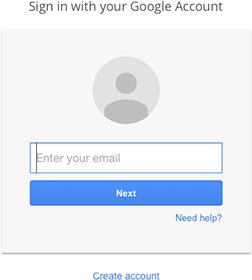 Click in the Name box to add your name. If you’d like to include links to your E-Learning Heroes profile, personal blog, or social media sites, add the url in the Description box. Click save to save your placemark. Please feel free to share the community map in your user group meetings, on social media, or with anyone you feel would benefit from connecting with fellow community members. Thanks again for sharing and participating in this e-learning community geolocation activity! Totally agree! Just added myself. Wow - this is a great map. Just added myself. Really cool! But it is so sad to see that I'm the only one in Turkey. I hope the other users join soon. It's nice to be the biggest expert in one's country, but yah, I think it would be cool to find some more local users. Soon! Great idea! I'd like to find a User Group in Atlanta. Love it! New Zealand has now joined the party. This is pretty sweet. I see someone from my hometown of Monterrey, Mexico! Am I REALLY the only one from the DFW area so far? Great idea! Come on, Los Angeles, REPRESENT! That would be awesome! I wonder how we can find out if the field is growing over there. My dream is to live in Thailand. I want to check out China and Japan too. I agree with you Melissa. e-learning is growing rapidly in Asia. I don't know about Thailand and China but I know there are some countries like India, Pakistan and Malaysia have an extensive demand of Instructional Designers. There are some countries in middle east have huge demand of instructional Designers for instance Dubai, Qatar and Behrain. Thailand is not that far from there. It's like communting from Seattle to Vegas. Great to see the variety of community members in Texas! Hey folks! 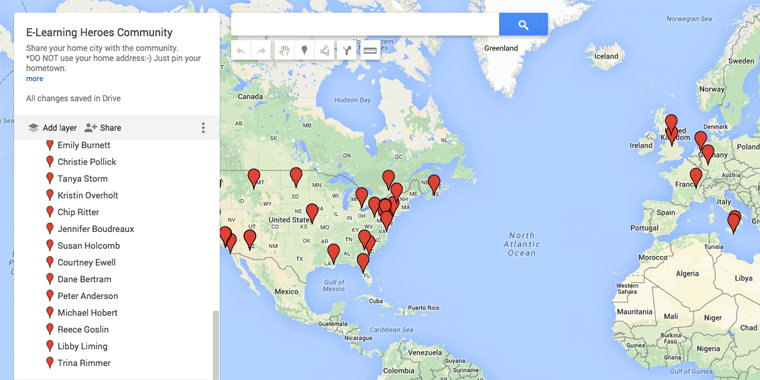 Thanks so much for sharing and adding your names to the map. If you haven't checked it out in a few days, you should take another look! It's really cool to see where everyone lives. Come on Canada!!? I know we're covering more territory than that! We'll get you a meetup in your area, Jenise! If I have to drive up each month to attend, we'll get your group going:-) My parents live in Prescott. Maybe they could attend? I'm sure my father would if you promise to cover basic computing skills (mouse, creating & deleting folders, renaming files). I'll come to Prescott to get out of the heat down in the valley!!! This is an awesome idea, but then again; what else can we expect from the great David Anderson and @Articulate? Thanks, Alex:-) It's fun having a social/learning playground where everyone can play and learn from one another. The map sure has grown since last week! I'm going to create some new layers so we can separate regions better. It's so cool seeing where you all live! Great idea - unfortunately I'm having trouble with Step 4. My pop-up doesn't have the "add to map" link. I'm logged into Google, and it recognized my city, but not able to save. Any ideas? THX!! Hi Erin! I think you may need to Edit the map: http://d.pr/i/19umZ Can you see if the edit option is visible? And if that doesn't help, let us know so we can figure something out. Sloneskooo, Slovenskooo, heja, heja, heja Slovenskoooo :D, Slovakia is on the Map. This is pretty cool. Looks like there are two other e Learning Heroes in the Downtown Houston Area but there is no way to contact them to say hi. And I think we could definitely have a Houston Area Articulate Meet Up group! Hi Anna! Can you add your name and city to this form: https://docs.google.com/a/articulate.com/forms/d/1sYm-G8b39Psi5zdjFCfeVaZWWALXmL9EY_Ax0CJwYHk/viewform Once we get 10 people in your area, we'll connect all of you so you can form your local groups. Great tool! in Belgium 3 for now!!!! but for sure, there are more users!! Come on! !